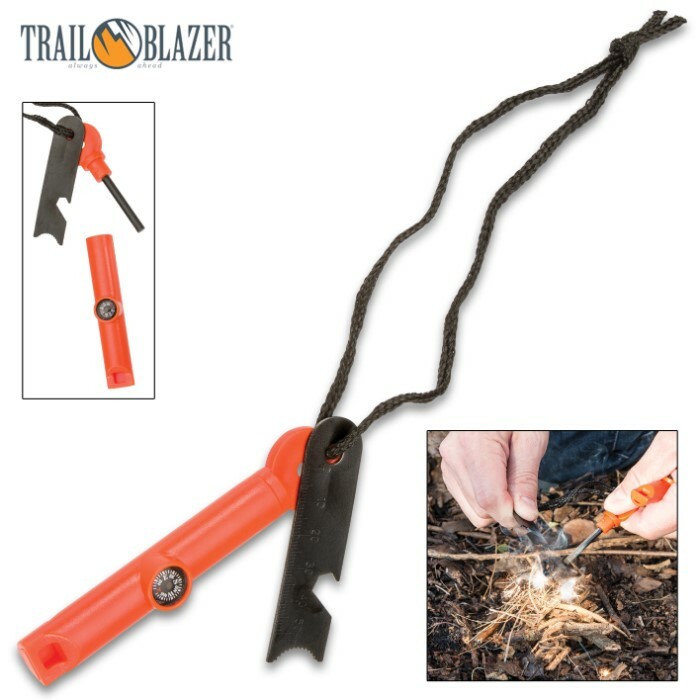 Trailblazer Multifunctional Fire Starter / Flint and Striker Tool | BUDK.com - Knives & Swords At The Lowest Prices! Few pieces of survival gear pack this much utility into such a small package. 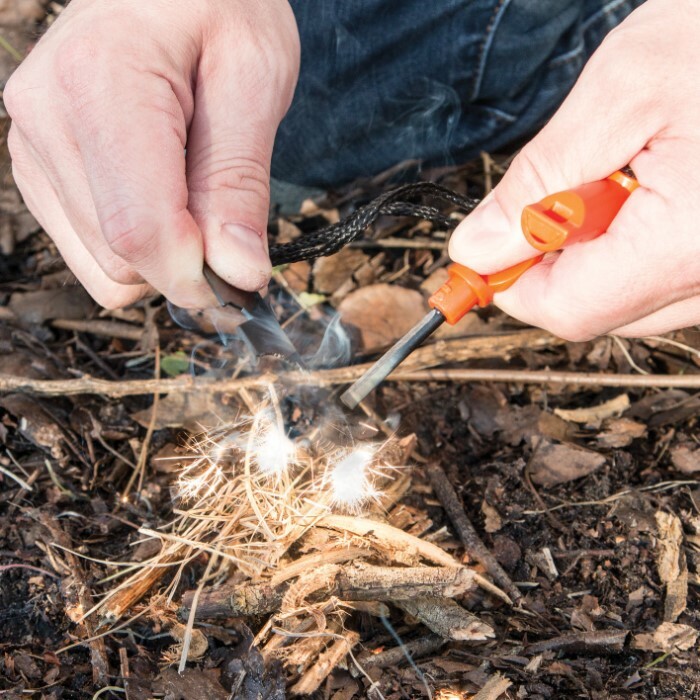 Trailblazer's Multifunctional Fire Starter Tool is so much more than just an easy, quick, non-fuel-dependent way to generate a spark. 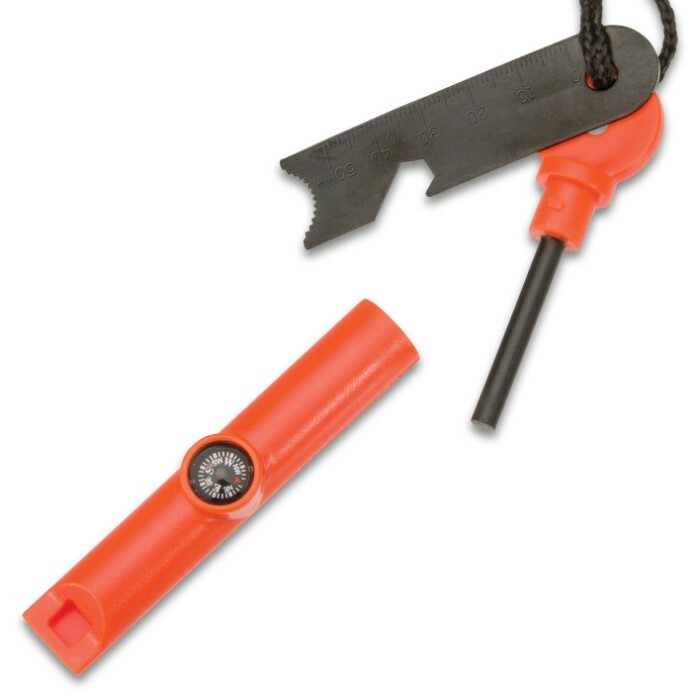 Tucked away inside the tough, waterproof polymer storage casing is a removable cylindrical magnesium-based flint. The lanyard attached metal striker conveniently doubles as a ruler. 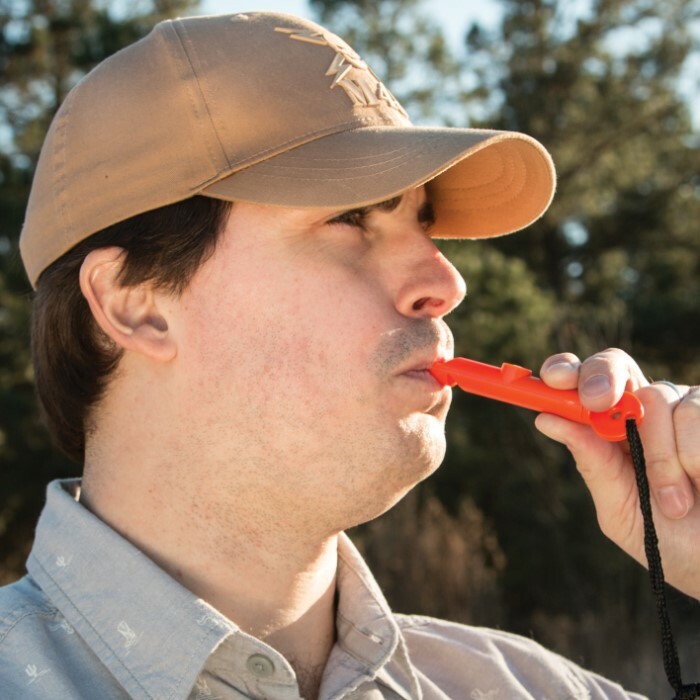 A handy compass is built into the outer casing and a long-distance survival whistle is integrated into the end of it. At just 4 5/8" long, this multi-talented little survival tool is easy to carry with you anywhere, which is vital - after all, you never know when you'll be thrust into a survival scenario!